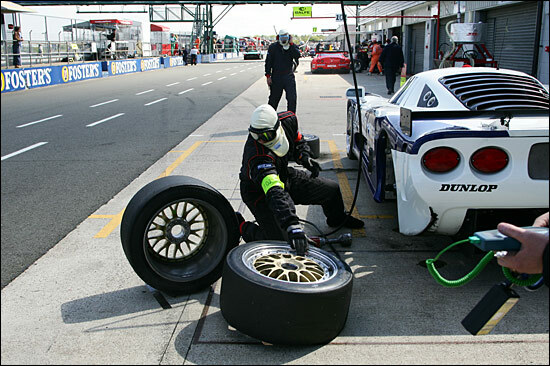 It’s been a tough start to the 2005 season for Eclipse Motorsport: two accidents in testing have meant that the team’s brand new Mosler MT900R has so far not seen racing action. 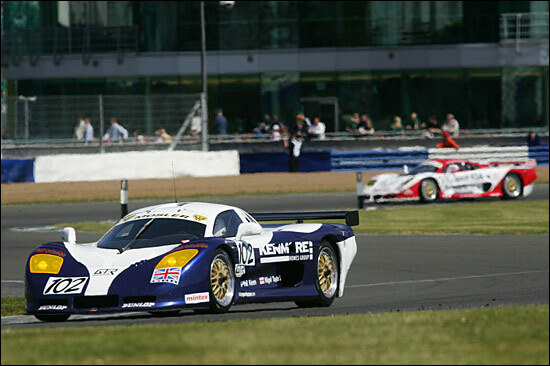 That was to change on May 15, with a baptism of fire, the FIA GT Championship’s RAC Tourist Trophy race at Silverstone. 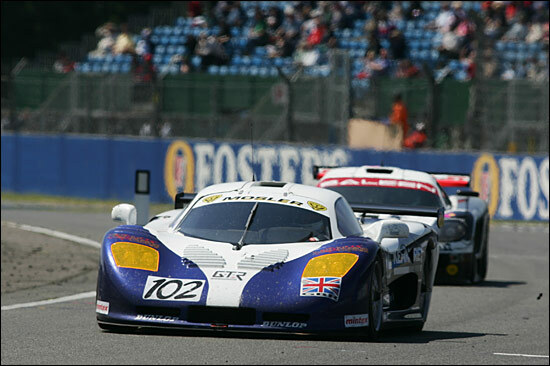 The Mosler is entered in Group 2 rather than GT2 in the FIA Championship, a peculiarity of the Mosler still awaiting full homologation, but the real competition was to see how the car stacked up against the British GT regulars who had come along to join in the fun. 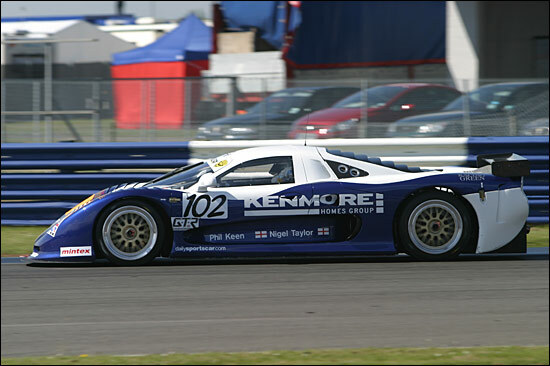 On the driver front the Mosler had 2004 Spanish GT champion Nigel Taylor aboard: the Englishman knows the MT900R well after a full season in the Balfe motorsport car last year. Joining him was young Philip Keen. Silverstone was a one-off for the 20 year old, but there was an air of “they are looking at us and we are looking at them” in the air. Qualifying was taken at sensible pace, the real game here being to learn as much as possible about the car and to let the drivers settle in to the pattern of rapid lappery, while taking account of the very quick GT1 cars looking to get by as quickly as possible. After a Saturday Evening dsc photocall to celebrate both the first ever European instance of a three Mosler entry, and the racing debuts of the MT900Rs of both Eclipse and fellow British GT entrants Cadena GTC, it was time to see what the car and the drivers were capable of on race day. Sunday dawned bright and sunny with a strong crowd to entertain. It would be Philip Keen’s task to take the start and he would prove immediately that if the team weren’t “looking at him” they most certainly should have been! The first few laps saw the youngster blast by the GPC Ferrari ahead and latch on to the tail of the battle between the Embassy Porsche and Team LNT Ferrari. 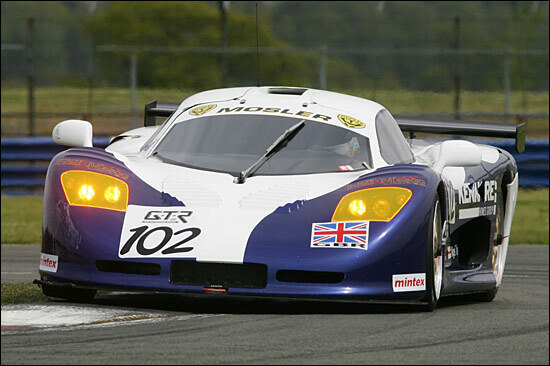 The Mosler was clearly quicker in the opening minutes and the TVR was despatched with relative ease. The Embassy-Eclipse tussle was now fully engaged, the gap dropping to around a second at times with traffic, with the fast moving GT1s making it a tough task for the battle to find its own feet. But a brand new car, with a driver brand new to it, hanging on to a well driven and well prepared, 2005 spec. Porsche, was reason for smiles aplenty at Eclipse. With the hour mark approaching the GruppeM pair was maintaining a race pace in the 1:22s with Balfe’s Mosler in the 1:23s and the Cunningham / Keen battle in the 1:24s: the remainder of the field (GPC and Cirtek Ferraris, Sebah, Proton and Vonka Porsches) were back in the 1:27s. Keen was first of the leading runners to pit to hand over to Nigel Taylor. John Griffiths had sensibly ordered the crew to ensure the car was thoroughly checked after a hard hour’s racing, which meant a longer than normal stop: the reward ahead for the team though would be to bring an undamaged new car to the finish. Nigel Taylor’s stint was fast, safe and steady, taking advantage of every opportunity and setting up the final hour for an attack by Keen. Taylor pitted almost on the 120 minute mark, the same careful approach to pit routine again meant a longer stop, but the car looked as good as new, a race finish looked on the cards, and Keen’s job was now to ensure it was as high up the order as possible. His pace was immediately better than the cars ahead, though the Embassy Porsche and TVR were now beyond his reach, and having put some quality Porsches to the sword, the final ten minutes saw him within reach of the top five in the combined GT2 / G2 field. The Sebah Porsche looked set to take the fifth place, until a spin into the gravel allowed the chasing cars to grab the advantage. The GPC Ferrari 360 was the first to pounce, but Phil Keen had been closing fast and passed the 360, bringing to a head a great finish for the man Eclipse wanted to sign before the start of the season, in the car they wanted him to drive. Eclipse will be out next at Thruxton at the end of May, where Steve Hyde will start his 2005 campaign, the Eclipse regular now confirmed for the remainder of the season. 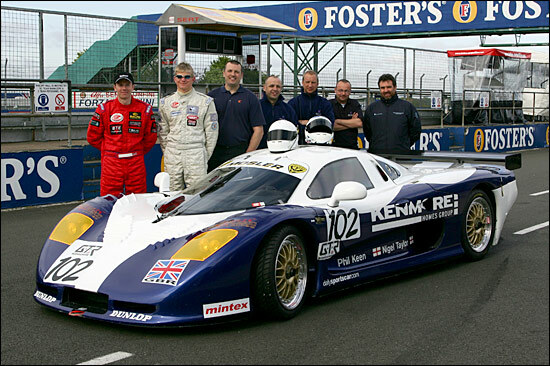 Before then though the Mosler will be out testing this week, Philip Keen will be aboard – draw your own conclusions!